UMW Theatre has raised $ 48,010 from 332 gifts! Support UMW Theatre on #MaryWashDay! UMW Theatre is committed to helping students create extraordinary lives for themselves. We believe that through the process of developing theatre professionals we help students discover their future selves and their potential to have an impact on our world. We also are steadfast in our belief that we want all UMW students to recognize the power of theatre to enhance the quality of their lives long after they leave our gorgeous campus. Creating theatre is costly. Our demand for resources far exceeds that of the income at the box office from ticket sales and the support we receive from the university. We want our students to be active on our stages, in our shops, in our classrooms, and in the world beyond UMW. 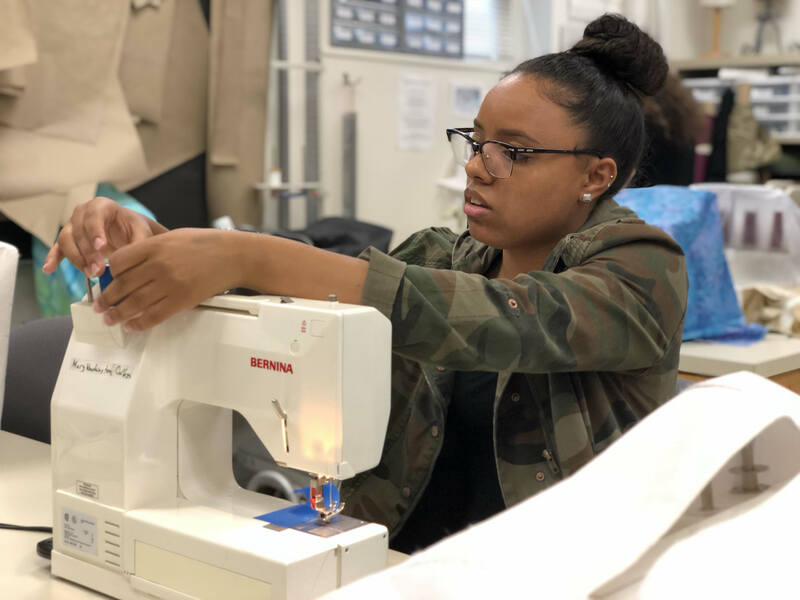 To that end we support creative projects, internships, workshops, and professional education opportunities for our students that enhance their ability to be competitive in the professional job market. Our ability to offer the opportunities to our students sets UMW Theatre apart from many other theatre programs across the country. The enormous success of our graduates is a testament to our ability to have a life-changing effect on our students. Your support has a direct impact on the lives of our students, many of whom struggle to make ends meet. We want all of our students to have access to opportunities to find themselves in this work and we are diligent in our efforts to help every student achieve their goals. Your gifts support national industry conference attendance for our students, important auditions and portfolio reviews, guest artists for networking events, materials and supplies for creative projects, royalties for student productions, professional residencies, and scholarships for students who find themselves short of the resources they need to make ends meet. Last year two of our students were selected (in a highly-competitive process) to attend the Strawhat Professional Auditions in New York City. Your support made that possible. This year five of our students (every single student who applied) made the cut—evidence of the growing reputation of our program and the talent of our students. Your support helped these students meet the expenses involved with these auditions. Three of our students attended the Southeastern Theatre Conference auditions in Knoxville, Tennessee this month—once again being selected for this national audition from hundreds of students who auditioned at the state level. Your support helped these students represent UMW Theatre on a national stage, while also strengthening their skills as an emerging theatre artist. Last year two students attended the annual meeting of the United States Institute for Theatre Technology (the preeminent gathering of theatre designers and technicians) in Ft. Lauderdale where they attended professional seminars, interviewed with professional theatres, and networked with students and professionals from around the country. This year nine students attended this prestigious event in Louisville, Kentucky—thanks to donors like you who are giving them a much needed boost in their professional careers. Your gifts make it possible for our students to push beyond their wildest imaginings of what a career in the theatre can be. But your support helps them in other ways, too. 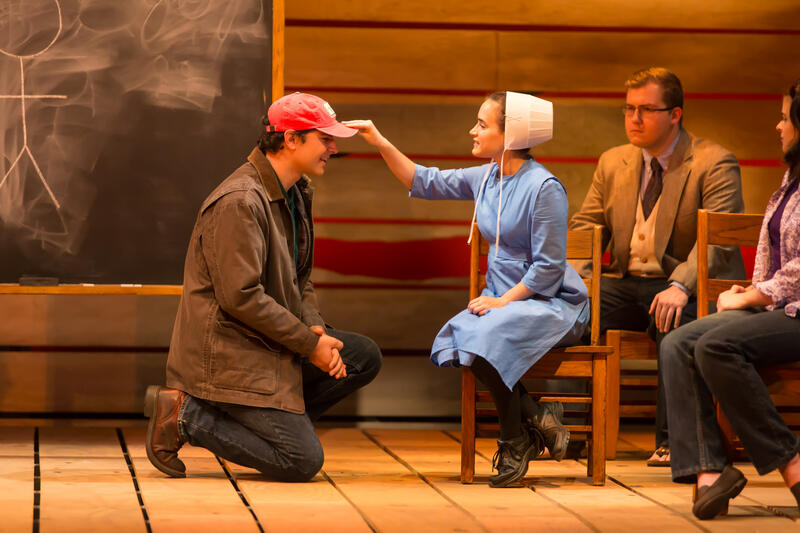 For Jennifer, it is the opportunity to see live theatre in Washington, DC, with her class because her family could not afford the ticket due to the recent government shutdown. 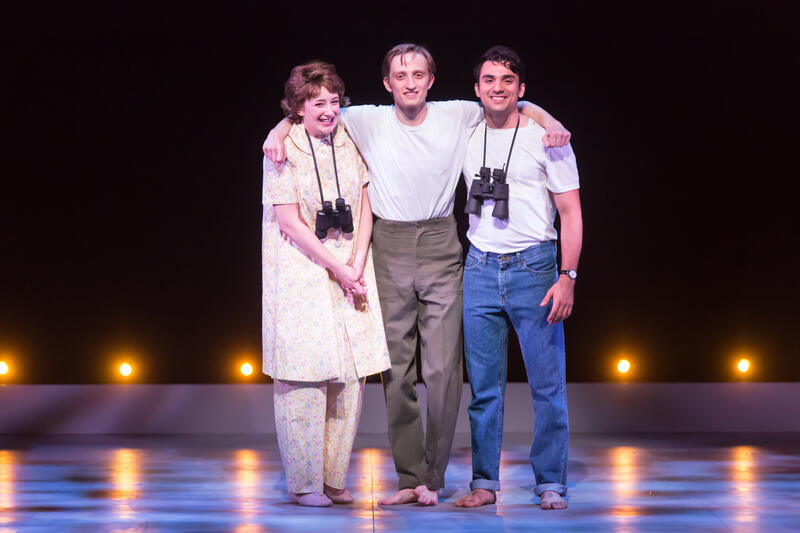 For Patrick, it was the opportunity to direct an important play in Studio 115 without having to worry about the financial implications of scripts and royalties. 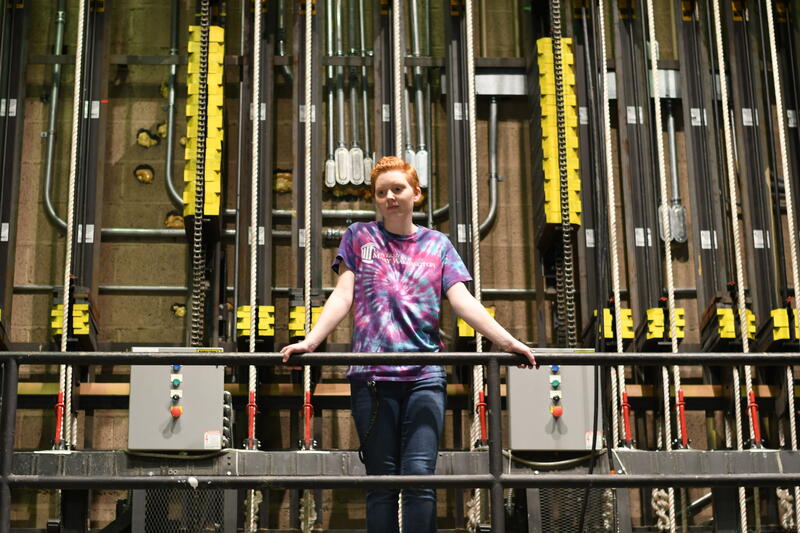 For Jess and Grace, it was the chance to spend a month in rehearsal for 12 Angry Men at Ford’s Theatre on an internship arranged by our stage management professor. For Michayla, it is presenting her spoken word choreography at the American Dance Association regional conference for professional critique. 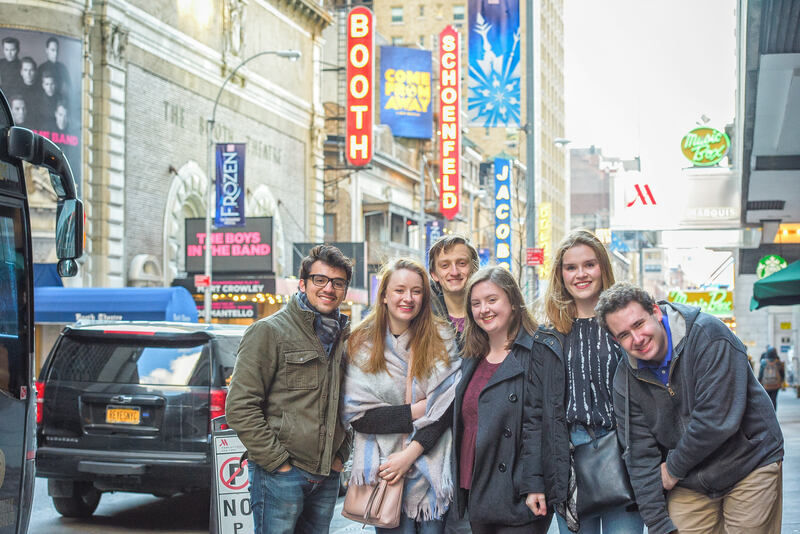 For Abe, Olivia, Lydia, Neal, and Diana, it was the opportunity to travel to New York City to attend a prestigious audition in hopes of launching their professional careers. These are a few of the many ways your gifts help our students. Won’t join us in writing more stories of the ways our students discover their potential because of your help? You are our partner in this work and we are ever grateful to have you with us on this journey. FULL CHALLENGE MET! THANK YOU, ANGELA MILLS '01 AND OUR UMW THEATRE DONORS! Angela Mills '01 will match all gifts to UMW Theatre given before 10:00 a.m., up to $500. UNLOCKED! THANK YOU! Polly Updegraff Champ, Class of 1961, will match all gifts to UMW Theatre up to $1,961 in honor of her year of graduation from Mary Washington College. UNLOCKED! If UMW Theatre GOLD (Graduate of the Last Decade) alumni donate $1,000 to UMW Theatre, the parents of a GOLD alumna will give double that amount! UNLOCKED! THANK YOU, Steven Scheibe! Steven Scheibe, friend of UMW Theatre, will match all gifts to UMW Theatre given by current UMW Theatre students, up to $210. UNLOCKED! If ONE donor singlehandedly gives $500 to UMW Theatre on Giving Day, Mike and Elaine Prendergast, parents of a 1995 graduate, will match it dollar for dollar for a total of $1,000. UNLOCKED! The parents of a UMW Theatre alumnus will match any gift to UMW Theatre by parents of current students and parents of alumni, up to $200. UNLOCKED! Carolyn Eldred '66 will match all gifts raised by first-year UMW Theatre students and their parents up to $150. FULL CHALLENGE MET! THANK YOU, BECKY KLEIN AND OUR UMW THEATRE DONORS! Becky Klein, daughter of Dr. Albert R. Klein, will match any gift to UMW Theatre after 7:30 pm (curtain time) up to $1,000. UNLOCKED! When any three alumni donors make a combined gift of $1,250 to UMW Theatre, Sheila Shadmand ’95, will double the donation for a total gift of $2,500! UNLOCKED! Martha Smith '99 will make a gift of $1,000 when UMW Theatre receives 100 gifts from UMW Theatre Alumni. UNLOCKED! Ernie & Lynn Ackermann will match gifts to UMW Theatre from current and retired UMW faculty and staff up to $500. UNLOCKED! If UMW Theatre receives $250 during lunchtime (11 a.m. to 1 p.m.), loyal patrons and friends of UMW Theatre will make a gift of $250. UNLOCKED! The parent of a recent graduate will match gifts from new donors to UMW Theatre, up to $350! UNLOCKED! Gregg Stull '82 & Brandon Prendergast '95 will match gifts to UMW Theatre by current UMW Theatre donors, up to $2,000. FULL MATCH MET! THANK YOU, MARY BENDER AND OUR UMW THEATRE DONORS! Mary Bender will match gifts from current seniors (Class of 2019) and their families to UMW Theatre, up to $100. UNLOCKED! If UMW Theatre has raised $10,000 by noon on Mary Wash Giving Day, Bill and Terrie Crawley '77 will make a gift of $1,500! UNLOCKED! Kathleen & Everett Geno, current donors to Friends of Theatre, will give $500 when we reach 250 donors on Giving Day! UNLOCKED! Karen and Norm Scanlon, longtime UMW Theatre patrons, will give one dollar for every gift given to UMW Theatre up to 300 gifts! UNLOCKED! Marilyn Butters, a long-time friend of UMW Theatre and avid Backstage Passer, will match gifts made by any prior or current Backstage Pass participants, up to $500! UNLOCKED! A great fan and friend of UMW Theatre, Margaret Huber, will match any gift given by any UMW Theatre Road Tripper up to $500! UNLOCKED! An anonymous patron will match gifts up to $115 given to UMW Theatre by any former or current members of the UMW Theatre Studio 115 Committee. UNLOCKED! Bob & Carole Hanus, conveners of our longstanding UMW Theatre ElderStudy program, will match all gifts to UMW Theatre from Mary Washington ElderStudy members up to $250. UNLOCKED! 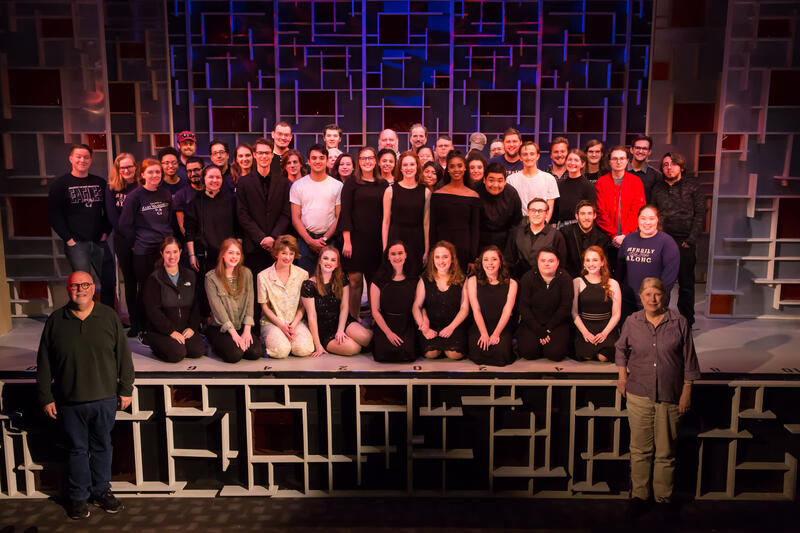 An anonymous loyal patron who adores UMW Theatre will match any gift given by current or former members of Alpha Psi Omega (Eta Eta Cast), UMW Theatre's honorary, up to $500. UNLOCKED! When any UMW Theatre alum currently living and working in New York City makes a gift to UMW Theatre, Debe and John Garrison will match it, up to $200. UNLOCKED! When any alum currently living and working in the DMV area makes a gift to UMW Theatre, Marc & Linda Gallini will match it, up to $100. FULL CHALLENGE MET! THANK YOU, JACK AND MARY ANN STANA AND OUR UMW THEATRE DONORS! Jack and Mary Ann Stana will match all gifts to UMW Theatre in the final two hours of Giving Day (10:00 to 11:59 p.m.) up to $100. UNLOCKED! When 25 UMW Theatre alumni post and tag #MaryWashTheatre in photos from their college theatre experiences, Susan Worrell and John Iacunato will make a gift of $500 to UMW Theatre! UNLOCKED! Anna Geisler Hogan '82 will make a gift of $500 to UMW Theatre if the UMW Theatre Giving Day 2019 Trailer gets shared more than 100 times by the end of the day March 19! UNLOCKED! An anonymous donor is matching all gifts by faculty and staff of UMW Theatre up to $500. UNLOCKED! When UMW Theatre raises $250 in gifts from current UMW Theatre student employees in the management office, box office, scene shop, or costume shop, the mother of an alumna will give a matching gift!